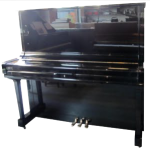 Solfege, music theory, sight reading, and piano lessons are available for children and adults of all levels. 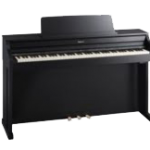 Interested by students who wish to start or pursue piano playing, Angelique Bernard adapts her teaching to their personality or desire, while leading them to their best ; The lessons can be taken in the south of Paris or its southern suburbs (92). It is possible to be trained for exams or auditions. Above all, the lessons offer a friendly and lively atmosphere. 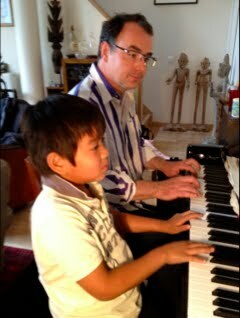 Initiation : Children can start piano around 5 or 6 years old. 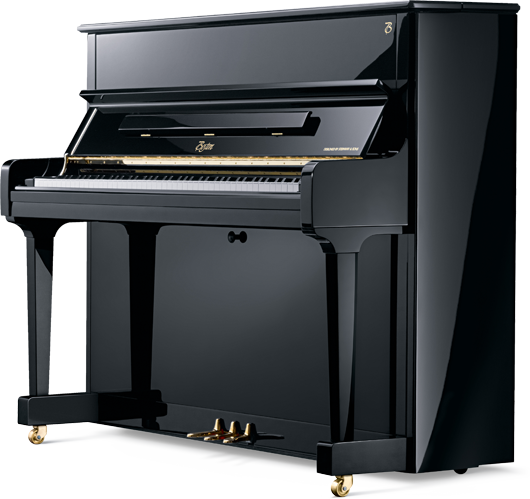 They are initiated to the basic technic of piano and relaxation linked to it, through playful compositions. Notions of music theory and sight reading are also introduced. 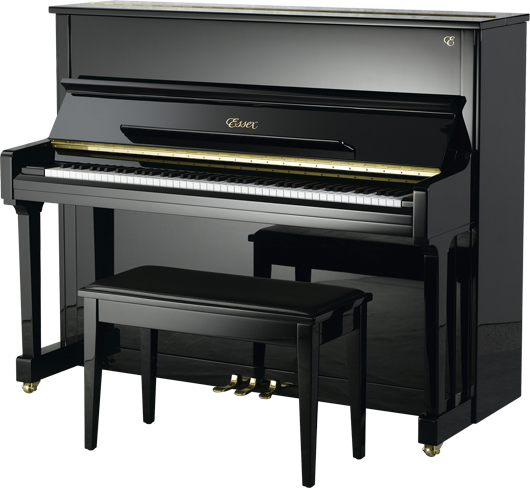 Advanced level : It can consist of preparing students to conservatory exams and auditions, or of helping a pianist to better himself. Angelique Bernard can also help students who are registered in a music school but need to be assisted in their weekly work. Each lesson last 60 minutes. A minimum of 15 minutes of daily practice is required from any students. Music is a way of life. It brings happiness in our lives. To practice or listen music brings interest and balance in our lives. A long teaching experience allows me to adapt to the personality and desire of people, while leading them through an interesting musical path. I teach to beginners and to people who already have basics.Music theory studying helps the instrumentalist or singer to progress in sight reading, and to analyze and understand music charts faster, et therefore to learn them faster. Therefore you will lean tunes at a faster and gratifying rate, thus enlarging and varying your repertory. You will find and bring more pleasure to you and the ones who listen to you. Collectives projects are challenging. To be a better sight reader helps the collective work in bands, orchestras, or choirs. it also helps your timing. The progressive and encouraging method includes gradual exercises, and encourage a daily practice, essential for progress. Pleasure in music is inspiring. It is stimulated by progress, relying itself on consistency. Studying and learning music is a very inspiring challenge to all of us. Music theory can be taught during the instrumental lesson or additionally. It greatly helps the instrumentalist, singer, and danser. The program is offered in french or in english. You can start music at any age. You can start piano or go back to it after a break. I can coach medium or high level students who want to increase their level, or prepare auditions, exams, or competitive examinations. I help students to improve on posture, hand positioning, technique, relaxation on the instrument, music theory, sight reading, discovery of new repertoires. 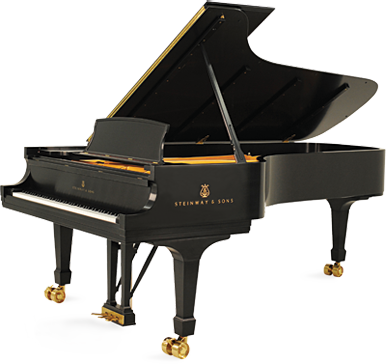 At first, students follow progressives piano methods, and may enlarge the styles of repertoire at a higher levee, after once basics are acquired. Music theory may be learned during the instrumental classes or can be learned additionally. Lessons can be offered at students’ home. They can be offered once or twice a week, depending on your pace and goals. Pleasure in music is stimulated by progression, which relies on practice consistency. Studying an instrument requires therefore a serious personal involvement (from the chidden, from their parents, and from any student). I teach to beginners and to people who already have basics. Music theory studying allows the instrumentalist or singer to progress in sight reading. It also helps him to analyze, understand, and therefore learn music charts faster. 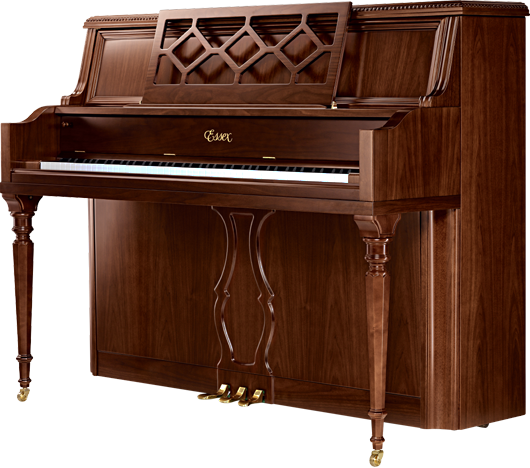 Hence, you will learn tunes at a faster and gratifying rate, thus enlarging and varying your repertory. You will find and bring more pleasure to you and the ones who listen to you. Collectives projects are challenging. To be a better sight reader helps the collective work in bands, orchestras, or choirs. it also helps student’s timing. The progressive method includes gradual exercises, and encourage a daily practice, essential for progress. Pleasure in music is very inspiring. It is stimulated by progress, which relies on consistency. Studying and learning music is a very challenging experience. Music theory can be taught during the instrumental lesson or additionally. It greatly helps the instrumentalist, singer, and dancer. Pour ceux qui ont des problèmes de voisinage, Il est possible de rajouter un “système silencieux” . 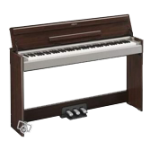 Ce système s’insère à l’intérieur du piano et reste invisible lorsque le piano est refermé. Seul un boîtier de commande fixé généralement sous le clavier reste apparent. Il offre notamment au pianiste la possibilité de jouer et de s’écouter au moyen d’un casque audio sans déranger son entourage, tout en conservant le mécanisme du piano acoustique. 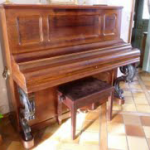 Ce système peut s’adapter aux pianos modernes, ou éventuellement redonner vie à un piano ancien, évitant ainsi d’investir dans un piano numérique. Le pianiste peut ainsi profiter d’un vrai toucher de piano, mais avec les avantages sonores du numérique. 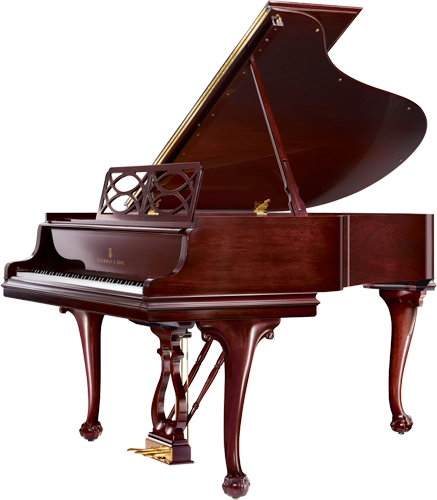 Si possible, il est préférable d’acheter un piano droit dont le système silencieux, d’origine, a été installé en usine au moment de la fabrication de l’instrument. 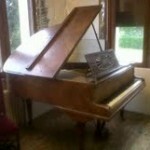 Il existe de nombreux pianos équipés d’un système silencieux (“option silent”). le “Quart de queue” et le “Crapaud” : idéaux pour ceux qui ont peu de place. On les trouve facilement d’occasion. I have been studying in different Conservatories in Paris and its suburbs, in Paris’s Universities, in Berklee College of Music (Boston) USA. I followed with success in Piano and Music Theory Classes. 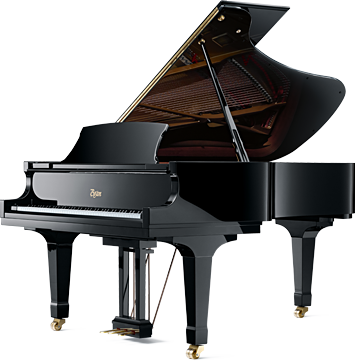 I got involved with Classical and Jazz music. 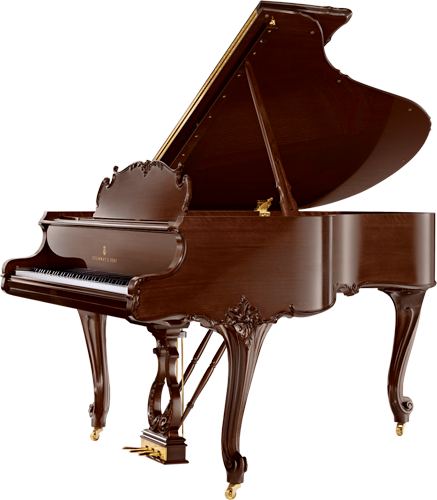 Daughter of two parents pianists and piano teachers, I have a good knowledge of piano repertory and chamber music. I naturally got interested by teaching. 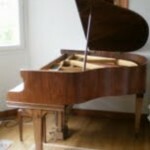 I have taught for several years Piano, Music Theory, and History of Music. I owned many music charts, books, and recordings. I continually search for new pedagogic ideas and methodology. I am very motivated by music and its teaching. I love to pass on my musical knowledge to my students, to watch them growing and enjoying themselves. I adjust myself to their taste, personal rhythm, and possibilities. I offer a personal approach for each of my student, encourage a regular and fun practice, help them to discover an interesting repertory and help them in their listening analysis of music. I like pedagogy, I like teaching. Nous voulons vous remercier pour le travail que vous avez fait avec notre fille Florence. C’est sa 1ere année : elle a tout de suite aimé apprendre le piano. Grâce a vous, elle a beaucoup progressé. Nous espérons vivement que notre fille Florence puisse poursuivre avec vous les leçons de piano. Merci encore pour pédagogie et votre gentillesse. 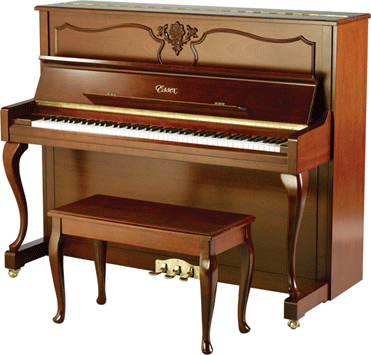 Grâce aux cours de piano d’Angélique nous partageons le bonheur de progresser et d’apprendre en famille.Les cours sont très qualitatifs, une méthode formidable faite d’exigence et de gaieté. GBLes leçons de piano demandent un certain engagement. L’étudiant doit pratiquer entre les cours. Il est possible d’avoir une ou deux leçon d’essai. Il est possible de s’inscrire à tout moment de l’année scolaire. Les frais sont basées sur le nombre de cours. Il est possible d’avoir des leçons pendant les vacances d’été. 1 cours d’essai à 25 euros (net). Engagement au trimestre (sur une base de 30 cours dans l’année).